Madison Colleen*, an ex-SeneGence distributor in America, has kindly offered to share her story with us. 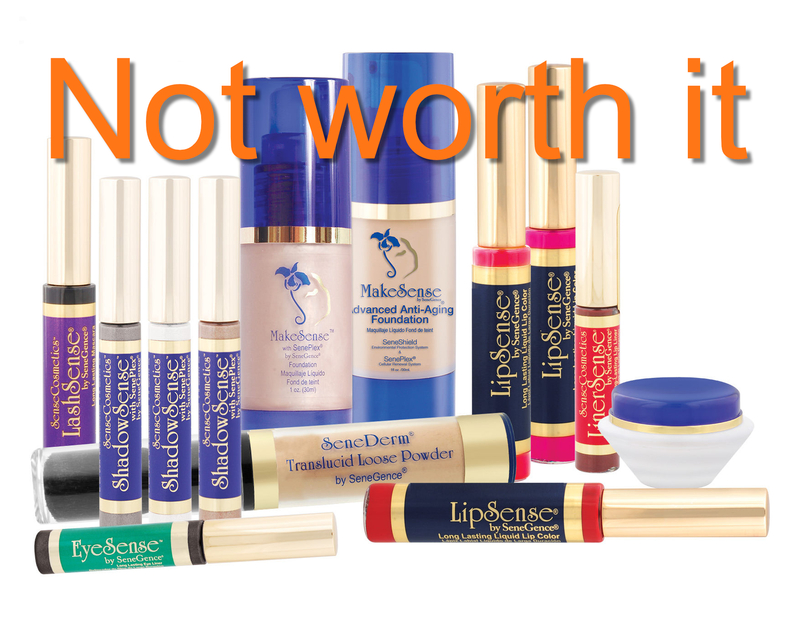 SeneGence is the MLM company that produces LipSense, as well as a wide range of skin care and other cosmetics. She joined in 2010, a lot earlier than most current distributors, so she has a really unique perspective on the company, and how it has performed over the last seven years. When did you join SeneGence, and why did you decide to join? Madison: I joined SeneGence in September 2010. I joined because a co-worker had begun selling the products, and was always doing videos, posting them on Facebook, and talking about them at work. However, I did not sign up with her, because I saw how pushy she was with people at work, trying to get them to place their orders every month, and trying to get everyone else at work to sign up. Everyone that wanted to buy products from her, she coerced them to sign up instead of just selling them the products they wanted. I did not want that to happen to me as well, so I stalked around and found another lady in town who also was a distributor. I set up an appointment with her to sample some of the lip products. I went in to buy a couple of products with no intention of joining. An hour later, I had a full makeover, was loaded down with the entire line of skin care and cosmetics from her stock, was signed up as a distributor, and had already placed my first order of everything used on my face to replace this lady’s products that she so generously let me get in advance. Plus she “helped” me order a few more products that we didn’t try, but she just knew I was going to love and would be kicking myself tomorrow that I didn’t go ahead and order the products, now that I had placed a big enough order to get it at 50% off. I ordered over $1,000 worth of products that day, and all I went in for was a couple of lipsticks. Funny thing is, I didn’t buy from my co-worker because I didn’t want to be pressured into signing up, and here I was now with all this product and signed up “for personal use”. She assured me she would never pressure me to sell, even though she knew I would be a natural at it because I knew makeup. She could tell I was passionate about skin care, and she knew after I used this for a week I would want to share this with all of my friends — but, no pressure. To find out what happened to Madison, head on over to the Anti-MLM Coalition website!